One of my most memorable trips in recent years has been the one to the temple of Lord Vitthal in Pandharpur. During this trip, we also visited Tulja Bhavani and of course, Solapur, which was our base. One thing I noticed everywhere I went in Solapur was advertisements for Shengdana Chutney. From a small roadside eatery to large restaurants, every eating place proclaimed that it had the best Shengdana chutney ever. My first taste of the chutney was during a lovely lunch on our way from Tuljapur to Pandharpur. And it was love at first taste. We got bought the chutney in Solapur, but as is wont in a foodie’s home, it was soon gone! That is when I learnt to make it and it is now a staple in our home. In a heavy bottomed wok/kadai, slow roast the peanuts till they start to pop. Rub the peanuts between your palms to get the peel off. 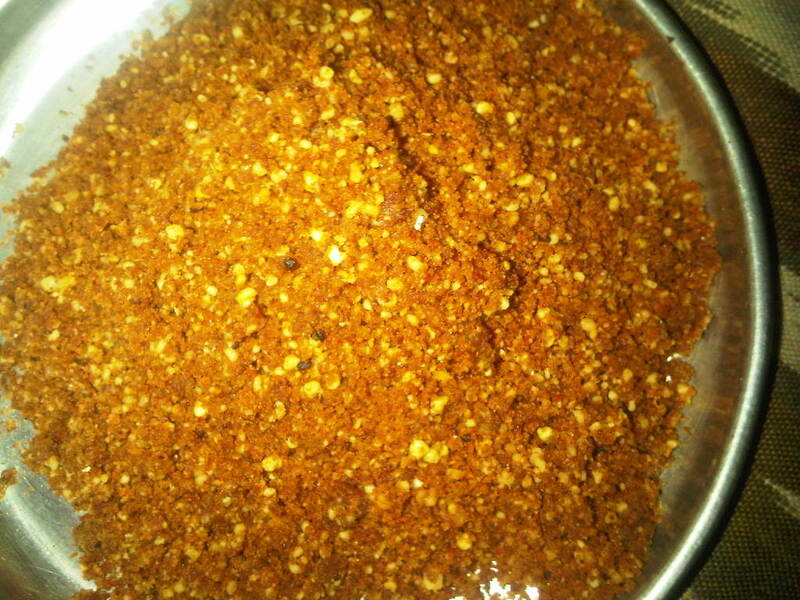 Grind the roasted and peeled peanuts, garlic, sugar, salt, and chilli powder to a coarse powder. Serve as a side dish to rotis, rice, idlis, dosas, …. Reduce the amount of chilli powder if you do not like your chutney spicy. Or use Kashmiri chilli powder which will give your chutney the colour but will not be spicy. You can add about 1 tablespoon of roasted sesame seeds to step 4. What a coincidence!!! I recently tasted this chutney at a friend’s place and I absolutely loved it. 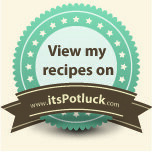 Thanks for posting the recipe :-).